Be the first to hear about their new releases and deals. Download the Booksprout app and search for Ash Litton today! 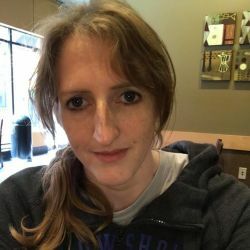 Ash Litton is a writer and lover of sci-fi, fantasy, and all things fictional. She is the author of Thoroughbred, Evening Hallow, Comeuppance, and Cabover Cabaret, and works on other Appalachian Dream Tales between her ongoing novel projects. She's also written No Diet, No Surgery, No Sweat, an ebook chronicling her weight-loss journey. Her debut novel is Uncertain Heirs.